When it comes to responsible equine ownership, there are plenty of different elements of your horse’s health and wellbeing to consider. One of the most important is your equine’s dental care. Not only can looking after your horse’s teeth help ensure that they remain strong and functional during his lifetime, but it will also support his long-term health, comfort and happiness. What problems can be caused by poor oral health? Other problems can include chronic pain, widespread infections and tooth loss. Who can support me in looking after my horse’s teeth? Equine dentistry is a specialism, and so a standard veterinarian will probably not have the knowledge, skill and experience to do a great job of looking after your horse’s teeth. Instead, enquire if dentistry is a service provided by your equine veterinarian. If not, if you know any fellow equine owners in your area, ask them if they would recommend their dentist. Regular check ups with an equine dentist are essential. This is because many horses do not display symptoms of dental problems until they become much more advanced, and are causing problems such as pain or difficulty eating. Most equine dentists recommend that they assess your horse’s teeth every 6-12 months, depending on their age and dental history. Floating is one of the most common parts of equine dental care. It involves filing off any sharp edges or hooks that may form on the edges of the teeth. Most horses will need to have their teeth floated at least once every twelve months. This will help keep them healthy, functional and comfortable for your animal to use. Horse’s teeth grow and change throughout their lifetime. In fact, it is even possible to tell a horse’s age by the appearance of their teeth. However, what this means is that the dental care that your equine requires will vary depending on their age. Just like humans, foals have a set of teeth that they lose as they mature. When this happens, your horse may experience problems with infections and impacted teeth that could require the intervention of a professional equine dentist. Older horses are at greater risk of developing periodontal disease, a progressive and often painful condition that can cause severe infections and tooth loss. 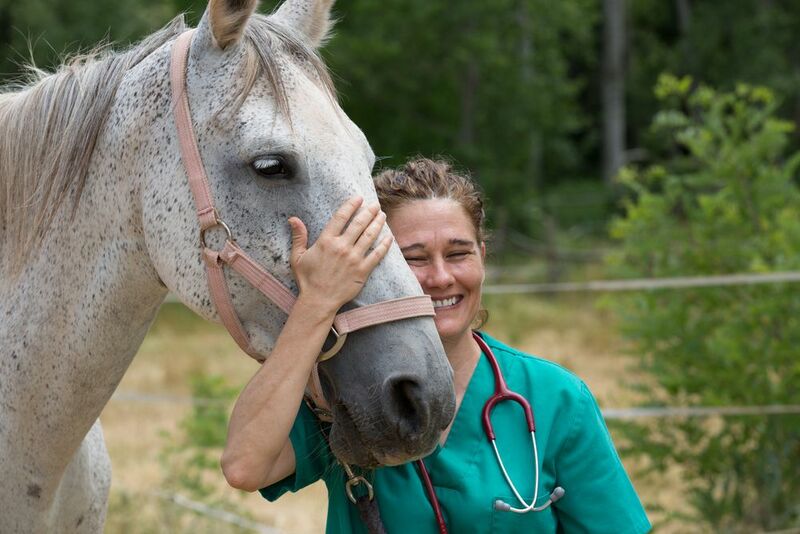 At Parkside Animal Hospital, you can be certain that your equine gets the dental care that he needs which will help him to live a long, happy and fulfilling life. Contact us to know more.